Throughout the state, New Mexico has a number of attorneys who practice bankruptcy law. 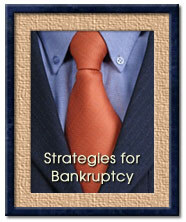 They are listed in Bankruptcy-Attorney.com by location and alphabetically. Also listed are the names of communities that are close proximity from the law offices. Also included in this section is information about the New Mexico Bankruptcy Court (located in Albuquerque with court hearings in Roswell and Las Cruces), the State Bar and Certified Specialists in New Mexico Law. This section provides information about the United States Bankruptcy Court for the District of New Mexico. It includes contact information, fees and forms. In this section, it provides content about New Mexico State Bar, which includes filing bankruptcy, public resources and contact information. Visit New Mexico State Bar. If two asterisks ** are located after the attorneys name then he/she is a Certified Specialist in Bankruptcy Law in the State of New Mexico. 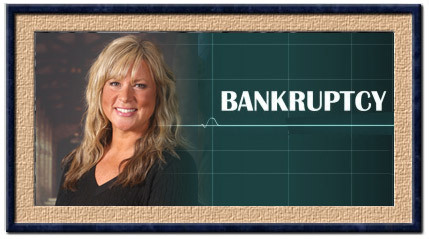 The New Mexico Board of Legal Specialization has a Certified Specialist bankruptcy program. Attorneys who pass as a Certified Specialist are certified under the State of New Mexico Supreme Court in consumer and/or business bankruptcy law. For more information visit Certified Specialist in the New Mexico section. There are twenty-two (22) communities where attorneys are located that practice bankruptcy law in New Mexico. Listed below are the names of the communities with a short summary about the location and the names of nearby communities. Alamogordo - County seat of Otero County. Nearby communities include Mescalero, Holloman Air Force Base and Cloudcroft. Albuquerque - Largest city in New Mexico and the county seat of Bernalillo County. It is situated in the center of New Mexico. Artesia - Located in Eddy County, communities near Artesia include Roswell and Carlsbad. Bosque Farms - Bosque Farms is a village in Valencia County. Nearby are the communities of Peralta, Valencia and Bosque. Carlsbad - Carlsbad is the county seat of Eddy County with Loving, Whites City, Artesia, Roswell and Hobbs located nearby. Clovis - Clovis is the county seat of Curry County with the communities of Texico, Cannon Air Force Base and Portales close by. Corrales - Corrales is a village in Sandoval County (county seat is Bernalillo). Nearby cities include Albuquerque and Santa Fe. Farmington - Farmington is situated in San Juan County (Aztec is the county seat). Gallup - The city of Gallup is the County seat of McKinley County. Grants - Grants is the county seat in Cibola County. Hobbs - Hobbs is the largest city in Lea County with Lovington as the county seat. Las Cruces - Las Cruces is the county seat of Doña Ana County and the second largest city in New Mexico. Las Vegas - County seat of San Miguel County, Las Vegas New Mexico is close proximity to Santa Fe. Los Lunas - Los Lunas is a village in Valencia County and the county seat. Peralta - Peralta is in Valencia County and the county seat. It is near the city of Albuquerque and the village of Los Lunas. Placitas - The town is near the city of Albuquerque and located in Sandoval County (county seat is Bernalillo). Rio Rancho - Rio Rancho is situated in two counties (Sandoval and Bernalillo County) and is close proximity to Albuquerque. Roswell - Roswell is the county seat of Chaves County. The communities of Artesia, Carlsbad, Refuge, Hondo, Tinnie and Tatum are with a two hour drive of Roswell. Ruidoso - Ruidoso is a village in Lincoln County with the towns of Alto, Ruidoso Downs, Hollywood and Mescalero in close proximity. Santa Fe - The city of Santa Fe fourth largest city in the state of New Mexico and the county seat of Santa Fe County. Santa Fe is also the state capital. Communities easy driving distance to Santa Fe include Espanola, Edgewood and Los Alamos. Taos - Located in Taos County, Taos is the county seat. The towns and cities situated nearby include Ranchos de Taos, Santa Fe, Cimarron, Ojo Caliente, Valdez, and Hondo. Truth or Consequences - Truth or Consequences (formerly called Hot Springs) is the county seat of Sierra County.